Thanks for having me over to SOS Aloha today. 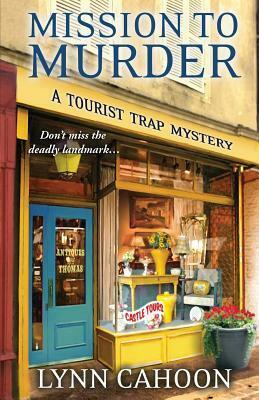 Since it’s tourist season, I thought I’d give your readers a glimpse into South Cove, the tourist trap town my amateur sleuth, Jill Gardner has made her home. Driving into town you take a right off Highway 1 on the central California coast. Turn left, and you’re in the parking lot of the public beach where Jill and Emma, her golden retriever, run most days. The first house on the right is Jill’s. Miss Emily, willed it to her along with the block wall in the back. The California Historical Society is still debating if the wall is from the original Spanish mission site where South Cove’s first residents lived. Across the street, in a house that is actually more run down than Jill’s, is where Esmeralda lives and runs her fortune telling shop. Typically, she’s only open on weekends since she also handles the police dispatch center part time. Watch out for Maggie, her black cat has a tendency to cross the road to visit Jill from time to time. Walk farther in town and you’ll pass by Diamond Lille’s, the only full service diner in town. The food is great, especially the fish and chips. Just don’t get into an argument with the owner, she’ll ban you from the place for life. And Lille has a long memory. City Hall is just down the road. In front of the building, there’s a cute little park with a fountain and a shed with a patio that Santa uses during the holidays to hold court. Mayor Baylor has his office just off the foyer, where Amy, Jill’s bestie, answers phones and handles any city planning issues. On the side of the building, the police station has its main entrance along with a couple of spaces to park the cruiser, when Toby’s not trolling for DUI’s. Toby also works for Jill as her noon to five barista. Coffee, Books and more is on the other sides of the street, down from City Hall. It’s right next to Antiques by Thomas. Josh Thomas, the owner, is courting Jill’s Aunt Jackie. 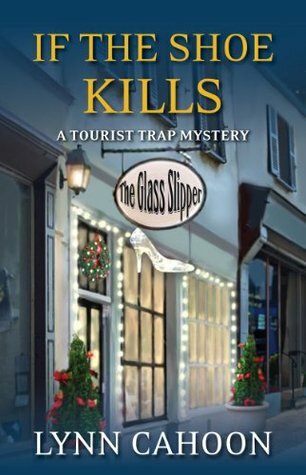 Directly across the street, next to the cigar shop is The Glass Slipper. The owner, Marie Jones, sells her work there and holds stain glass classes in the evenings. And of course, there’s Austin’s bike rental shop, South Cove Winery, and a slew of bed and breakfast places. And I haven’t even mentioned the new shop that just opened, in January. Vintage Duds is Sherry King’s new venture, selling gently used designer clothes. The perfect place for someone who likes name brand labels without the designer prices. Jill’s Aunt Jackie loves the plate. Jill’s trying to stay clear, not because she doesn’t like designer clothes, but mostly because Sherry is Jill’s boyfriend’s ex-wife. And past relationships should stay in the past. Of course, they don’t. 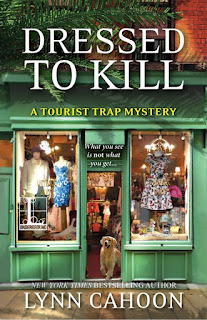 Which leads us to Dressed to Kill, Book 4 of The Tourist Trap mystery series. Jill’s going to have to get used to having Sherry around, at least she will if Jill can prove Sherry didn’t kill her new boyfriend. 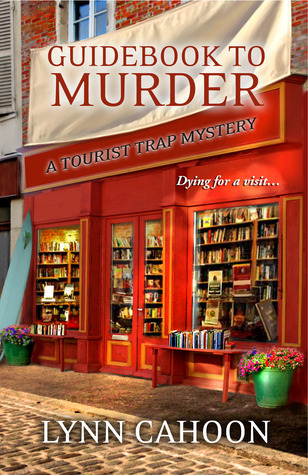 A sleuthing task that Jill doesn’t know if she wants to take on. So what’s your favorite vacation spot? Comment below to win. Of course everyone is expecting a “dead” body at the dress rehearsal…but this one isn’t acting! It turns out the main suspect is the late actor’s conniving girlfriend Sherry…who also happens to be the ex-wife of Jill’s main squeeze. Sherry is definitely a master manipulator…but is she a killer? 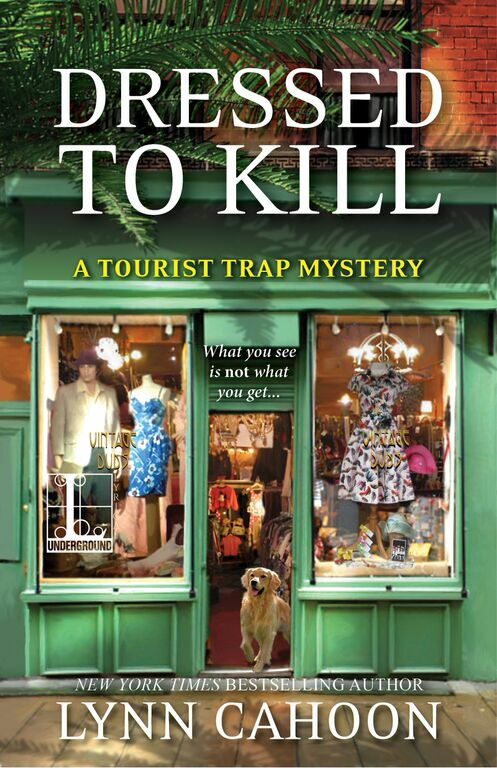 Jill may discover the truth only when the curtain comes up on the final act…and by then, it may be far too late. New York Times and USA Today best-selling author, Lynn Cahoon is an Idaho native. If you’d visit the town where she grew up, you’d understand why her mysteries and romance novels focus around the depth and experience of small town life. Currently, she’s living in a small historic town on the banks of the Mississippi river where her imagination tends to wander. She lives with her husband and two fur babies. 1. Answer Lynn's question - what's your favorite vacation spot? Hawaii, especially the Big Island. I've never been Jane, but it's on my must do list. Anywhere I can see water and read. I don't care if it is a lake or an ocean, bay etc. Just love water. I little family around makes it perfect. We used to go the a little place called Bend in central Texas that was isolated but beautiful and had a river. The only negative was that Sulphur Springs was well named. lol Still loved it. Places for hiking for those who were not into reading or swimming in sulfur water. Hi Billie! I'm pretty taken with water . There was a Sulpher Springs in Idaho too. My favorite vacation spot is Key West, Florida as that is the only "real" vacation I have had so far and I loved it. Never been, but I'd love to go. Peggy, I'm in love with mountains too. Anyplace with water and loved ones. Oh, and with some great books to read! I would like to go to Key West again. We stopped there while on a cruise and I loved it. I'm always taking too many books Judy! Cocoa Beach, FL - our uncle rents a place every year and we've been able to visit a few times. Nice and relaxing and plenty of time to read. Colorado is so fun too. Lot's of things to do outdoors. Love the history of the area. Anywhere in my beloved England. Someday. England is on my must do list. Cannon Beach Oregon. My grandfather always took us there when we came to visit and we had the run of the beach. Such beauty and amazing "treasures to find"! Oddly enough, although it's become more touristy over the years, the house we rented is still there and still available as a rental location! The Oregon coast has always been a favorite vacation spot when I was growing up. :) Sea lion cave was touristy and I loved it. Never been on Vacation, but have would love to go Many places. If need to pick one guess it would be Pensacola, FL. (daughter stationed there, USAF). tks for the 2nd chance to win. I'm seeing my son when I go to NC this fall. Makes the trip extra special. Hawaii is my favorite vacation spot. We have many places we enjoy visiting, so it is hard to decide. New England is a favorite, especially Maine. We enjoy the West too, but that is a much further drive. As for one specific place, we have enjoyed New Orleans. We have been twice and still have a few things on our list to do in that area. I'm going to New Orleans for the first time this fall. Looking forward to it. Either tropical like Hawaii or a national park like Yellowstone. Yellowstone is amazing. We drove through the bottom part last year and it took us all day. It's been so long since I've been on a vacation, I'm not sure I know what it means anymore! It's hard to choose just one! In general, I love going to the mountains in the fall. But there are so many other great places I love to visit--south Louisiana during Mardi Gras, Louisville for the Kentucky Derby, I'm long overdue to return to New York City, and Hubby and I are ready for another trip to Germany. Choices, choices. This year will be my third trip to NYC. Love that place. Simple but drawing! Thanks bn100!